Not far from Downtown Charleston, S.C., on the barrier island of Isle of Palms, you’ll find a self-contained resort community of beachfront homes and condos that is consistently ranked among the best in the United States. The Wild Dunes Resort’s recreational offerings include tennis, golf, sailing, fishing, swimming, bicycling, scuba diving and archery. And of course, for the less energetic among us, there’s always lazing about on the beach with a good book. Where to start in describing the national and international accolades that Wild Dunes has received is difficult because there are so many. The resort’s full-service hotel, the 93-room Boardwalk Inn, a four-diamond AAA hotel, is ranked among the top three beach resort hotels in the United States. The resort’s 17 Har-Tru tennis courts, five of them lighted for night play, have repeatedly earned Wild Dunes a place among the top five tennis resorts in the world by Tennis magazine. Which brings us to the golf. 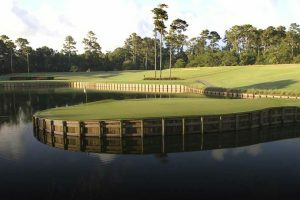 Wild Dunes has two 18-hole courses, both designed by Tom Fazio. In fact, Wild Dunes’ Links Course was Fazio’s first signature design. 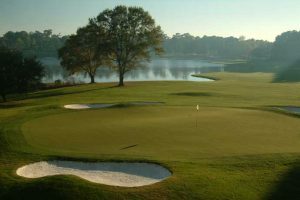 Together, the two courses are perennially ranked in the top 30 courses you can play in South Carolina. At 6,359 yards, the Harbor Course is not long but what it lacks in length is makes up in the need for strategy. Water runs along much of the length of every hole, and Nos. 9, 10 and 11 are bordered by the Intracoastal Waterway, the 3,000-mile-long passage for recreational boaters transiting between New Jersey and the Gulf of Mexico. 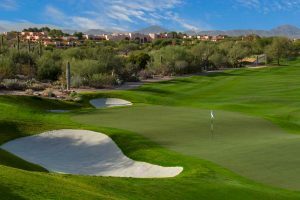 The Harbor Course’s tight design and the ever-present danger from water is reflected in its 71 course rating and its 133 slope. Throw in a couple of forced carries over salt-water marsh and you have a demanding test. Investing in a yardage book is a good idea. Peak-season tee times at the Harbor Course run between $85 and $110, depending on how far in advance they are booked. 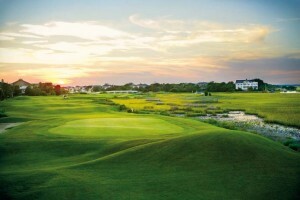 Because of its price point, the Harbor Course is popular among locals, according to Director of Golf Jeff Minton. Despite the disastrous flooding in nearby Charleston, the 20 inches of rain Isle of Palms saw in late September 2015 led to only minor damage at Wild Dunes, he said. 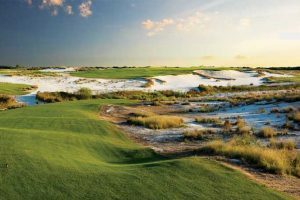 In contrast to virtually flat Harbor Course, Wild Dunes Resort’s Links Course makes the most of the elevation changes of Isle of Palms’ natural sand dunes. 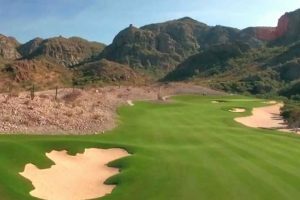 Even though no point on the course appears to be higher than 16 feet above sea level, Fazio’s design magic gives the appearance of much more elevation change. Through March 24, Wild Dunes is offering three nights at the Boardwalk Inn for two people, one round on the Links and Harbor courses per person and breakfast for two each day for $315. The Links Course recently underwent a massive renovation by Fazio to update its 1985 design. Crumbling asphalt cart paths were replaced with concrete, greens were resculpted and bunkers were rebuilt. A computer-controlled pinpoint irrigation system was installed. 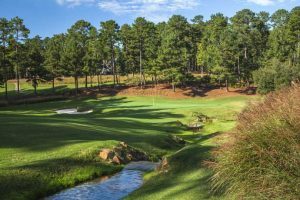 Thanks to the ease of growing Bermuda grass in South Carolina, the renovation took just five and a half months. The course reopened last Oct. 25. The result of the renovation is a feast for the eyes, with holes framed by palms and live oak, the dominant tree type in that region of South Carolina. The Links Course is wider and less intimidating from the tee box than the Harbor Course. Alligators inhabit some of the course’s water hazards. The nearest major airport is Charleston International Airport, about 17 miles away, which is served by American-U.S. Airways, Alaska, United-Continental, Delta, JetBlue, Southwest and Silver Airways. Amtrak serves North Charleston, about 15 miles away. 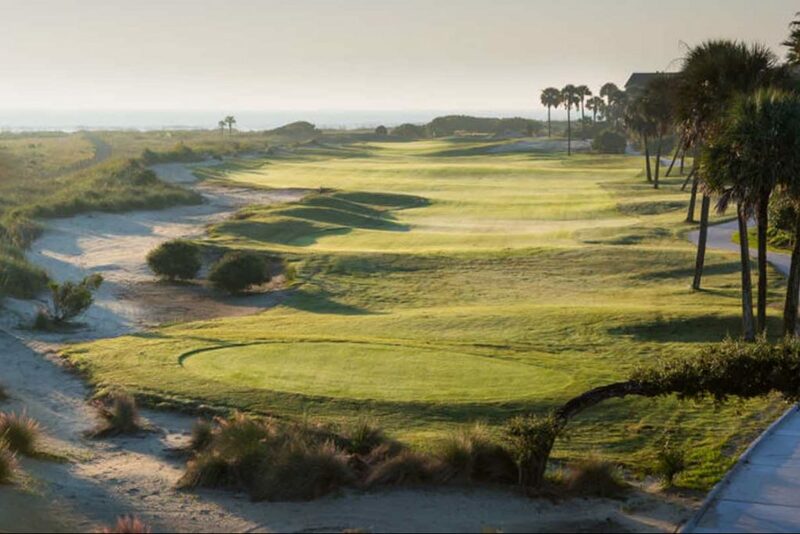 Because the Wild Dunes Resort is on a barrier island, the seven-foot tides of the nearby Atlantic Ocean have a significant effect on the salt water marshes that wind through the Links Course. Hundreds of yards from the beach you can see the tide energetically ebbing and flowing. In fact, tidal action has built up and eroded beaches along the resort itself. The Links Course’s 17th and 18th holes run along the beach. Some time back, the 18th became a victim of erosion that turned it from a spectacular dogleg par 5 into a par 3 when its green and some of its fairway was undermined by surf. 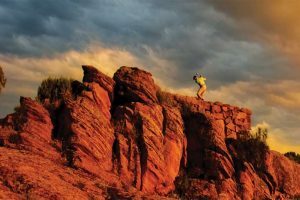 While the resort is exploring ways to restore the hole to its former magnificence, there is little doubt that Mother Nature will ultimately have her way. The course has not been re-rated since the shortening of No. 18 and the renovation. It previously played 6,709 yards before the washout and had a course rating of 73.2. a slope of 131 and a par of 72. It now plays as a par 70. 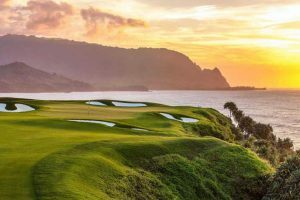 Links Course greens fees range between $145 and $175, although deep discounts are available for players willing to book a few weeks in advance. Wild Dunes offers hotel lodging at the Boardwalk Inn, condos in the Village at Wild and rowhouse-style multi-floor vacation homes. 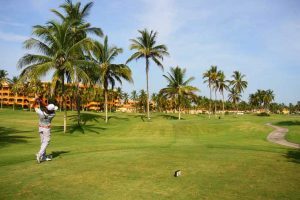 There are shuttles between the centrally located Boardwalk Inn and the resort’s two golf courses. Founded in 1670 as Charles Town, in honor of Charles II, then the king of England, Ireland and Scotland, Charleston is one of the nation’s oldest cities. It consistently is ranked as the most friendly town in the United States. It has the feel of New Orleans with narrow streets and brick houses with elaborate wrought-iron work. In place of the rowdiness of Bourbon Street, Charleston boasts art galleries, museums, pubs, and fine dining with French, Creole and British influences. Fort Sumter, where the Civil War started, is on an island in the mouth of Charleston Harbor, one of the world’s great seaports. Tours of Fort Sumter begin with a ferry ride from Patriots Point in nearby Mount Pleasant. Patriots Point is a sprawling public space a 15-minute ride from Wild Dunes. It features Patriots Point Golf Course and the USS Yorktown and the USS Laffey. The Yorktown, the second aircraft carrier in World War II to bear that name, also served in the Korea and Vietnam conflicts. The Laffey, a Sumner-class destroyer, is known as “The Ship that would not die” because it survived four Japanese bombs and five Kamakaze crashes. One $20 tickets grants visitors admission to tours of both ships and a landside “Vietnam Experience” that recreates a Vietnam swift boat base. Onboard the Yorktown, there is a U.S. Medal of Honor Exhibit with information on every recipient of the nation’s highest honor for bravery. The resort’s typical vacation home is a three-story walk-up, with parking on the ground floor for two cars. The kitchen, living room, dining room and one bedroom and one bathroom are on the second floor, with more bedrooms and bathrooms on the third floor. All condos and vacation homes have balconies or decks. The homes come well-furnished with everything a family or a group of guys would need for a week-long getaway, including quality dinnerware and pots and pans and utensils for eating in, a full-size refrigerator, stove, dishwasher, microwave and kitchen appliances, and washer, and dryer. In short, the condo furnishings are as fine as or better than anything you’d find in a mid-range name hotel brand. All units have free wireless secure Internet, big-screen TVs, Direct TV satellite, and DVD players. The Village at Wild Dunes offers hotel-style condo guestrooms ranging in size from studios to three-bedroom suites. The resort’s largest condo unit, the ocean-view Sweetgrass Penthouse suite, is 3,086 square feet on two levels. It can sleep up to 10 and accommodate as many as 13 at the dinner table. As you might imagine, with the Atlantic Ocean just yards away, the restaurants at Wild Dunes Resort feature fresh seafood and oysters. The Sea Island Grill at the Boardwalk Inn features casual fine dining, with shrimp, crab, scallops and snapper entreés, plus an array of steaks and chops. The more casual Lettered Olive Restaurant and Lounge offers bar and table seating, big-screen TVs, and a menu that ranges from wings to raw oysters, and pulled-pork sliders to Carolina flatbread and burgers. Even more casual menus can be found at the resort’s seaside Grand Pavilion and Palm Cove grills. The Sand Bar, the grill at the Links Course clubhouse, serves breakfast and lunch. The Dunes deli is handy to the swimming center for eat-in and takeout, featuring casual fare for breakfast lunch and dinner. A specialty of the Wild Dunes Resort is its “Dinner Delivered” service. 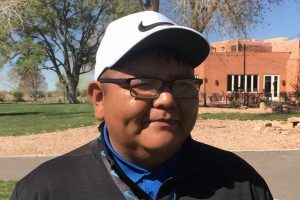 With 48 hours notice, a visiting family or group of golfers can order full meals that feed eight to 10 people for as little as $210. A low country pulled-pork barbecue meal with sweet pepper relish, potato salad, cole slaw, rolls and chocolate cake for dessert comes in at $255. If you order by Dec. 18, they’ll prepare Christmas dinner for you. There is no shopping at Wild Dunes Resort beyond golf gear at the two pro shops, and the beer, wine, food items, Boar’s Head deli meats and cheeses and other snacks offered by Hudson’s Market, which can deliver groceries to your condo or vacation home with 48 hours notice. What it lacks in window-shopping opportunities, Wild Dunes makes up in a dizzying array of no less than nine different spa treatments, ranging from its Honey Magnolia Massage to its “Mother Glows Best” facial. Also offered on-property are hatha yoga classes, flexibility training and weighted and weightless-fitness training. Or, if you are old-fashioned, you can just rent a beach umbrella and chair and wiggle your toes in the sand a few feet from the Atlantic Ocean.